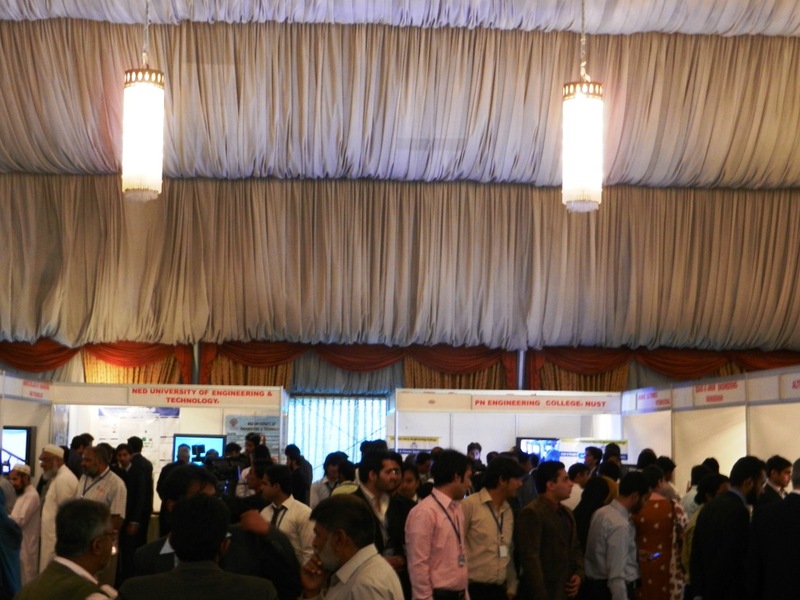 The conference was attended by a plethora of scientists and dignitaries from all walks of life. 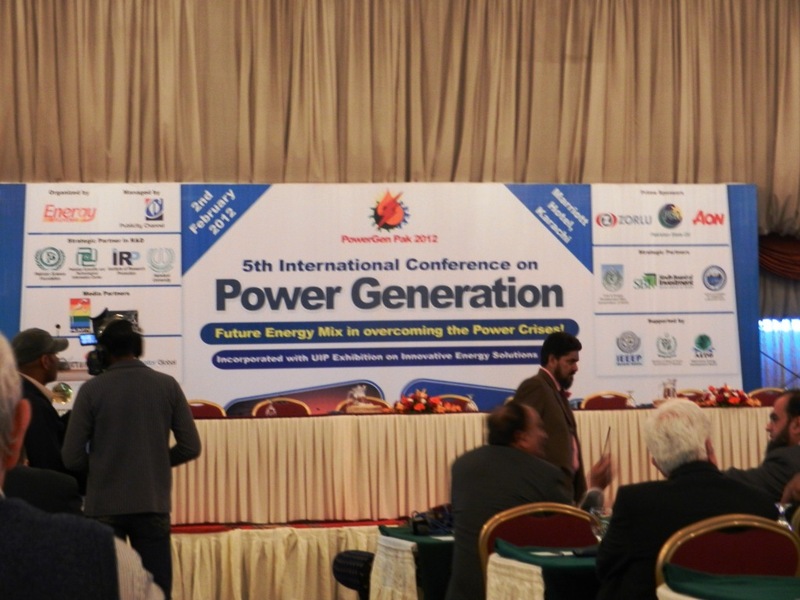 Here’s a brief lowdown of what went on in the conference. Memorandums of Understanding (MOUs) signed with all chambers of commerce in Pakistan. Reach is not limited to MOUs but to universities and beyond. Provide funding to research institutes. Enormous potential in both conserving and generating energy cost-effectively, only it needs to be channeled out properly. The energy crisis and resulting loadshedding of electricity and gas has resulted in a staggering monetary loss of Rs.288 Billion per annum. This is a loss of Rs.24 Billion per month, or Rs.857 million per day. This much money could have been used to finance 44 Large scale manufacturing units or serve 10 million unemployed people. $12 Billion is the annual import bill for furnace oil. 30% of energy wasted in distribution. 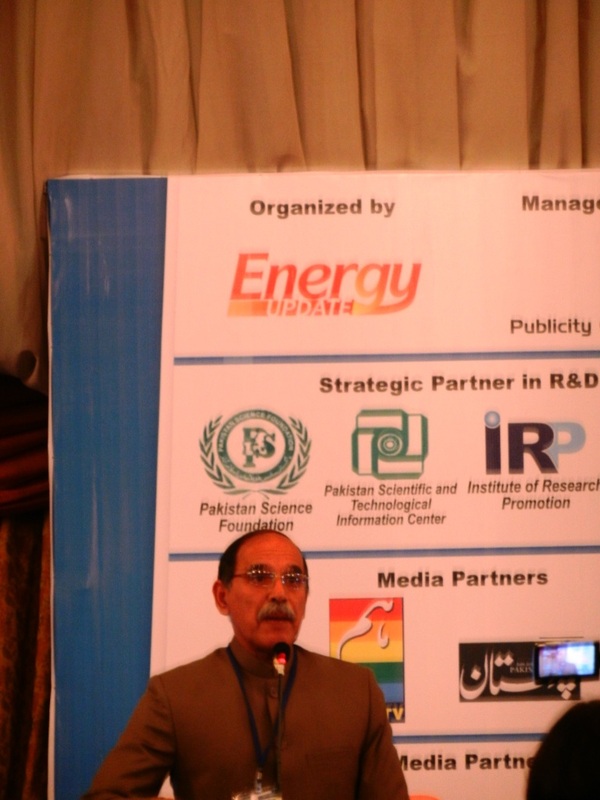 Energy security plan is needed on the same lines as Nuclear Security Plan to safeguard the future of Pakistan. 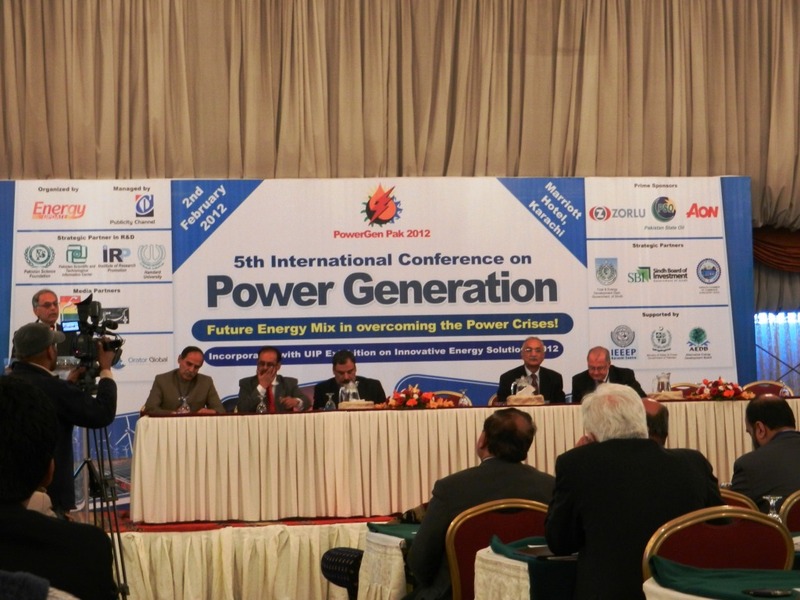 Welcomed the participants to the fifth PowerGen Pak Conference. Thanked the speakers and the guest for gracing the occasion with their presence, and the sponsors for lending support to this worthy cause. Renewable energy is the future of the world due to depleting natural sources of fuel. There’s a 40 MW plant in Gujarat, India run solely on solar power. 17,000 MW contribution by solar power to national grid in Germany. There are large lignite coal fields in Eastern Germany which provide the bulk of the power. However, they’ve a large carbon footprint. In 1999, a German company estimated the wind corridor in Pakistan to be worth 50,000 MW. Research by an American University put the estimate at 110,000 MW. Germany has been able to capture and make use of 17,000 MW of solar energy in spite of the fact that Germany doesn’t get as much sun as Pakistan. Due to circular debt, electric companies are unable to afford wind power companies. Karachi to Gwadar corridor has the potential of 7,000-10,000 MW generation through wind energy. Nexus needed between government, research institutes and industry for a workable plan. Much of the existing problems are due to lack of understanding between the three. Government has its own limits and cannot launch projects based on research by institutes. However it can support them in conjunction with the industry. Scientists have the tendency to quarrel amongst themselves for who gets the patent to an invention or innovation. There are 104 Nuclear power plants in US and 70 in France which contribute roughly 20% of total electricity. 35% of power in Western Europe is achieved through nuclear means. China has plans to set up 40 nuclear power plants. India plans to generate 63,000 MW of nuclear energy by 2032 with the help of General Electric USA. Pakistan only gets 712 MW of nuclear energy. Pakistan has substantial reserves of uranium, 500 times more than gold in various mines all over the country. Pakistan also has 5% uranium enrichment capability. 2,000MW energy through KANUP 2 and 3 will be attained. 8,000MW is the target for nuclear energy. The establishment of Pakistan Nuclear Power Fuel Complex will go a long way in attaining self-sufficiency in nuclear energy. Problem with energy usage not energy production. KESC has installed capacity of 1260MW but only 600MW of power are being delivered by them. 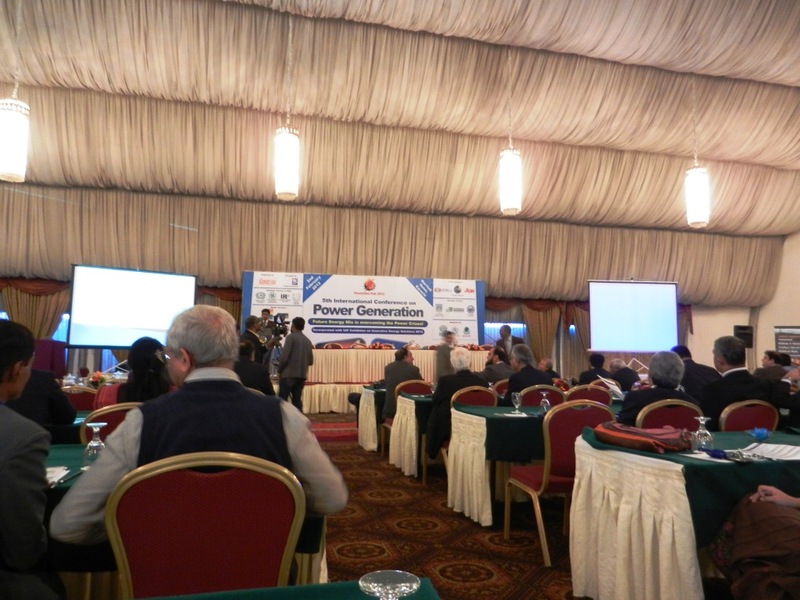 WAPDA had planned 40,000MW of electricity by 2010. Hardly 2,000MW have been added. 10-15% of energy saving is possible without any investment. 22% of energy saving is possible with investment. 70% of electrical consumption is by the industry. Load lightening devices are available which reduce electrical consumption. Government should make it mandatory for the industry to install these devices which will reduce the electrical load on the national grid. Co-generation provides 30% additional energy, a strategy which is being used by hotels. 22,000 MW is the installed capacity. Rs.300 Bn circular debt in July, now touching Rs.400 Bn. 12 hours of loadshedding in the industrial areas until 2 weeks ago. Pakistan has the fifth largest coal reserves in the world – 173Bn which will last 300 years. Thar has huge reserves of lignite coal as determined by research carried out by RW Germany. United Energy, 3 Gorges and Engro are some of the companies interested in this investment. In 2015 the first powerplant using the thar coal would be operational. Pak-Chine energy commission has determined that there’s a 80km wide as well as long wind corridor with speeds up to 800 knots, which is more than India. 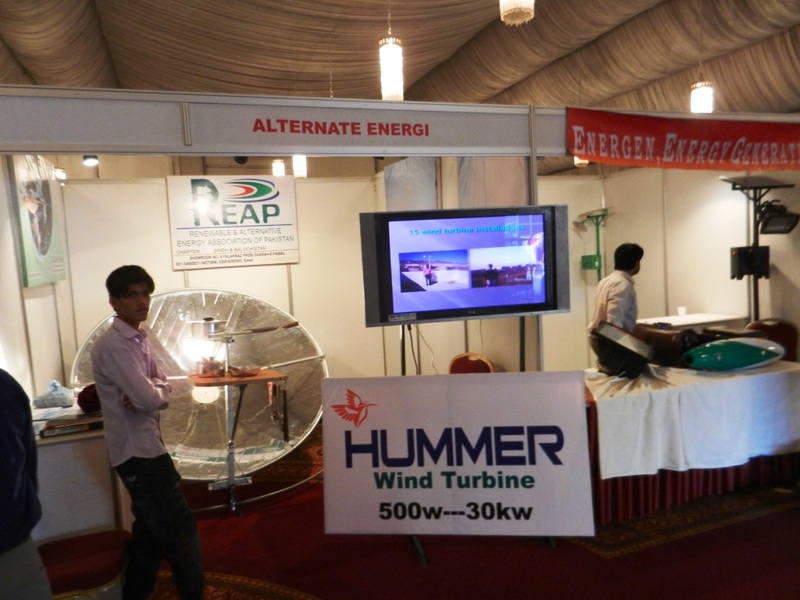 A Turkish company is already operating wind turbines in Sindh which are producing 5MW. 34 more turbines are in the offing which will raise the output to 50MW. Plans are in place to allow duty-free import of batteries to store wind energy. Total production was 3800 mmcf, now 200 mmcf have been added making to 4,000 mmcf. 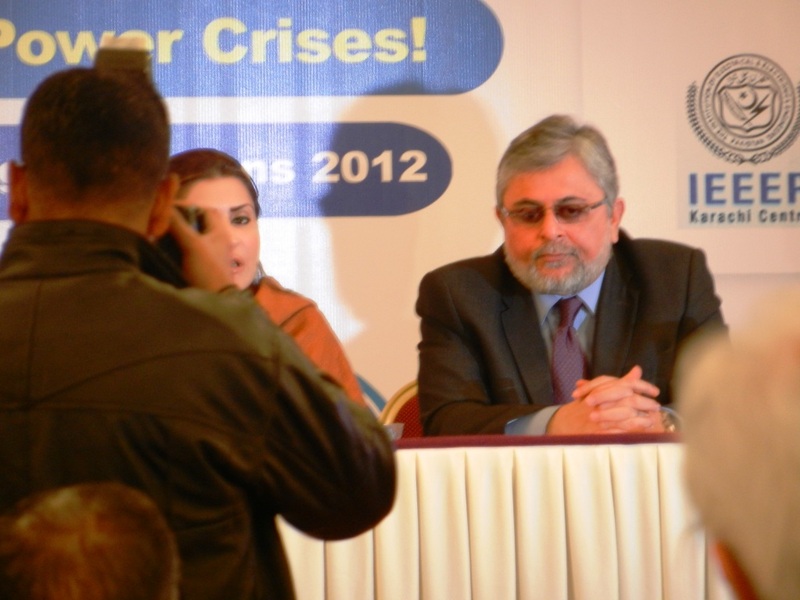 Sindh gets 1150 mmcf and Punjab 1800 mmcf. There are 2700 CNG stations in Punjab while 800 CNG stations in Sindh and Balochistan. Most of these 2700 CNG stations in Punjab are illegal connections given after 2007 and result in shortage of gas as the network has become so much convoluted. 40,000 of unutilized hydel capacity in Pakistan. 2,000 MW for 300 years possible from Thar coal reserves. 15,000 MW addition expected from Thar coal by 2020. TO BE CONTINUED IN THE NEXT PART……..